Triple World Superbike champion Jonathan Rea says he is "savouring the moment" after completing a win double at Jerez. Rea had never previously won at the Spanish circuit, having only achieved his first podiums last year. 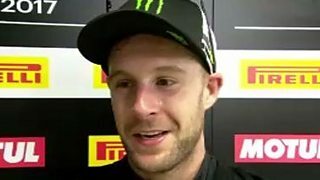 The Northern Irishman has won 14 of the 24 races in the 2018 series but hints that he and his Kawasaki team will use the final round at Qatar to start planning for their 2018 campaign.